This year at the Fashion With A Passion event happening on April 6th, Paul Hernandez, graduate of FIDM’s Advanced Study Fashion Design program, will be delivering his Resort Collection fashion show to guests. San Diego native Paul Hernandez draws inspiration from Mexico and his passion for music in creating his 2013 Resort Collection. 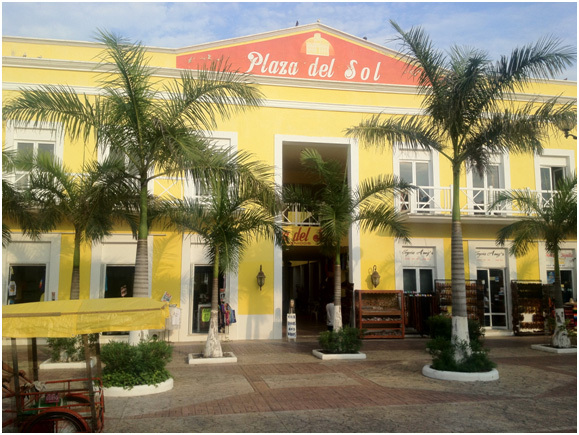 The vivid structures in Merida, a small Mexican town, served as a creative source for his colorful collection. Also a classical and jazz musician, Hernandez looked to the easy, feminine silhouettes of the Jazz Age for his designs, which focus on shapes that compliment a woman’s body. His diverse designs range from high couture to men’s and women’s boxing wear. Q: I don’t want to give away too much about the upcoming fashion show at the Fashion With A Passion event, but can you give us a little taste of what we are going to see? PH: A recent trip to Mexico was my inspiration for this Resort collection. The bright structures and free spirits of my culture is what influenced my collection. This photo is a good hint! Q: Is this your first year participating in the event? PH: I have been involved with the organization for the past few years now. I have demonstrated the “Art of Draping” as well as Fashion Sketching in past years. I also brought part of my Debut collection in 2011, and this year I will be presenting my Resort Collection. Q: What part of the design process do you enjoy the most and why? PH: I truly love every step that leads to the final collection. If I had to pick just one step in the process, I would pick the beginning of every collection. I am usually most inspired by fabrics. I love draping and sketching the first concepts and seeing how they evolve as the collection comes together. Q: I had the opportunity to see your designs when you were a part of FIDM’s advanced study program and participated in the Debut Fashion Show, part of LA Fashion Week. I loved your elegant designs, very classic but also very unique. How have you evolved as a designer since then? PH: As a designer I am constantly being inspired, evolution is infinite, and it is always a developing process. This season I am presenting a resort collection with silhouettes that are quite drastic from my previous collection while still maintaining the feminine feel of my last collection. Q: Who would you like to thank for their support in helping you reach your dream of becoming a fashion designer? PH: My family has always been extremely supportive with the goals I have set for myself and I cannot thank them enough for everything. Sandy Katana and Carlos Vasquez have been great assets to my professional career. Q: What is the next career step for you as Paul Hernandez, fashion designer? PH: While working on my Resort collection I was inspired and have started sketching my next collection. I will continue to work hard to grow my business as well as continue designing. Get your tickets now and see Paul Hernandez designs first hand on April 6th.